Little, Brown Books for Young Readers, 9780316422420, 320pp. Twelve-year-old Addie should stay away from Maple Lake. After all, her twin brother, Amos, drowned there only a few months ago. But its crisp, clear water runs in Addie's veins, and the notebook Amos left behind -- filled with clues about a mysterious creature that lives in the lake's inky-blue depths -- keeps calling her back. So despite her parents' fears, Addie accepts a Young Scientist position studying the lake for the summer, promising she'll stick to her job of measuring water pollution levels under adult supervision. Still, Addie can't resist the secrets of Maple Lake. She enlists the lead researcher's son, Tai, to help her investigate Amos's clues. As they collect evidence, they also learn that Maple Lake is in trouble -- and the source of the pollution might be close to home. 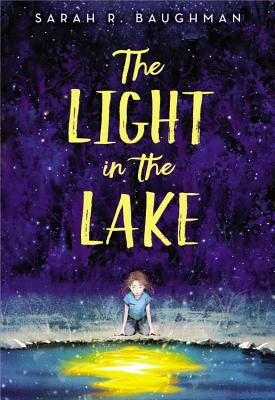 Addie finds herself caught between the science she has always prized and the magic that brings her closer to her brother, and the choice she makes will change everything.